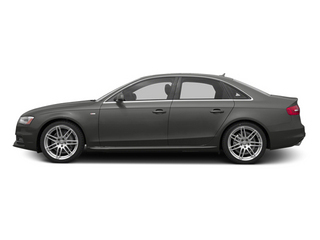 The Audi A4 competes with top sport sedans from Germany, Japan, and the U.S., including the BMW 3-Series, Mercedes-Benz C-Class, Cadillac ATS and INFINITI G37, as well as the Acura TL. 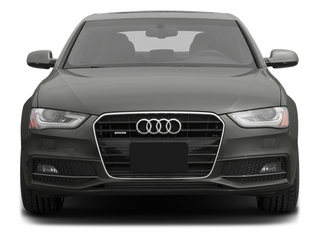 Among these models, the A4 offers one of the best compromises between comfort and performance, as well as exterior and interior designs that are superbly coordinated. 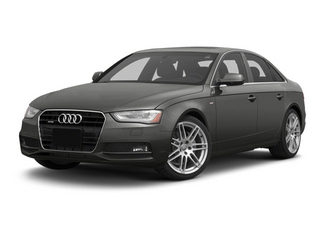 With its 2.0T engine, the A4 is also one of the most fuel-efficient models in its class, while the S4 offers one of the highest power outputs, excluding track-focused models. 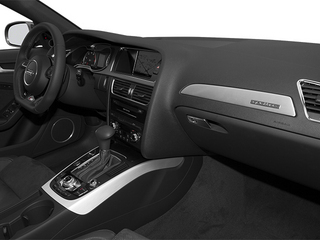 <p><p>In-dash technology, connectivity and infotainment is also a strength of the A4 and S4 family. While Audi Connect made its debut in Audi's larger models, the A4 gets the most advanced new form of the system, with Google Maps data and one of the clearest mapping displays. 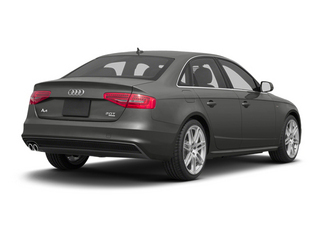 The A4 and S4 are offered for 2013 in a total of five different powertrain combinations. There's a base front-wheel-drive A4, all-wheel-drive A4 quattro models in either automatic or manual-transmission guise and the higher-performance S4, also offered with an automatic transmission or manual gearbox. 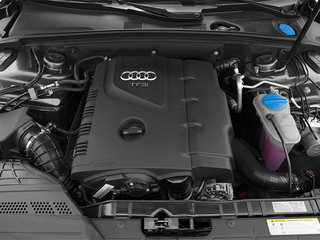 A4 models all come with a 2.0L 4-cylinder engine with direct injection and turbocharging; the engine makes 211 horsepower and 258 pound-feet of torque. 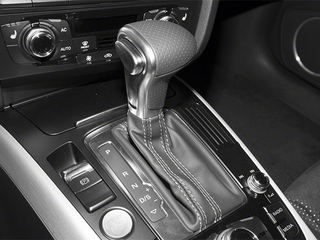 There's a choice between a 6-speed manual or 8-speed Tiptronic automatic transmission in quattro all-wheel-drive models or a continuously variable automatic transmission in the base front-wheel-drive A4 model. The S4 steps up to a supercharged 3.0L V6 engine making 333 hp and 325 lb-ft, and it's paired with either a 6-speed manual gearbox or a 7-speed S-tronic automatic. Most of the A4 lineup and all of the S4 lineup includes quattro all-wheel drive; it's already calibrated to send power to whichever wheels can use it most, but the S4 has an available rear sport differential with torque vectoring to help with stability and poise. 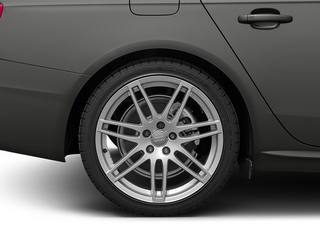 Electromechanical power steering provides some feedback from the road, while a dynamic steering system is also offered, adjusting its input based on vehicle speed. 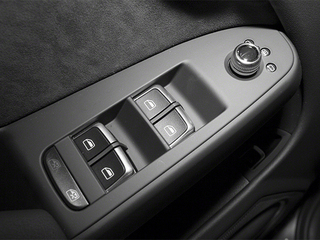 Across all the models, Audi drive select gives the driver four modes--Auto, Comfort, Dynamic and Individual--to custom-set variables for steering throttle response, transmission behavior, and suspension settings. 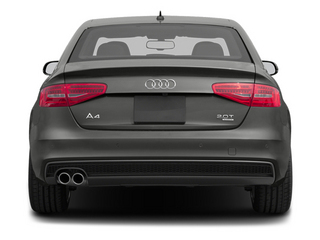 The A4 can be had in Premium, Premium Plus and Prestige trims--each bringing progressively more standard features--with the S4 only offered in the top two trims. 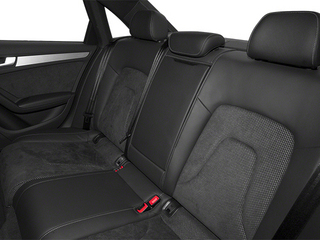 S4 models get special Alcantara (faux-suede) trimmed sport seats, along with suspension and braking upgrades in addition to the added power and other equipment. Both of the lineups have some of the same exterior and interior styling, which follows classic sport-sedan proportions on the outside, along with a cockpit-theme design inside, but one that affords a little more spaciousness. 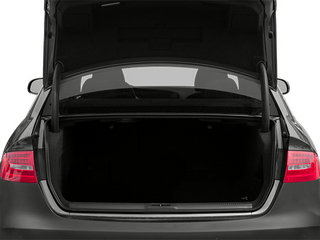 On the outside, the A4 can be equipped with an adaptive lighting system and optional LED headlamps, while the S4 gets a few styling cues of its own, including special alu-optic side-mirror housings, a unique grille design, plus special designs for front aerodynamic work and the exhaust. The A4 and S4 lineup this year get a streamlined version of Audi's MMI (multi-media interface) controller--now with a dial plus four buttons. 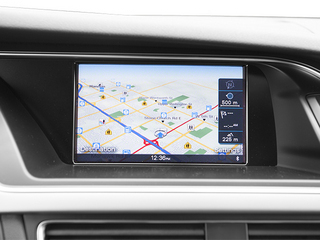 The MMI Navigation Plus system includes a 7-inch LCD monitor that's a central point for navigation, audio, communication and vehicle settings. 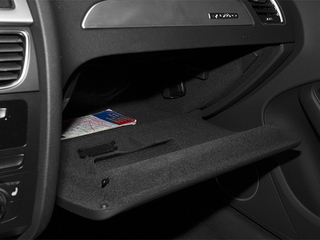 It also includes 40 GB of hard-drive space for music storage and the system can read SD cards and includes a CD/DVD drive. 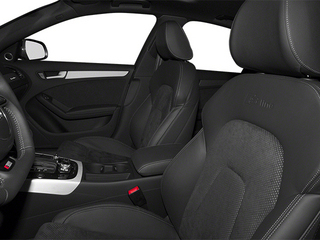 Additionally, a 14-speaker, 505-watt Bang & Olufsen audio system is offered. 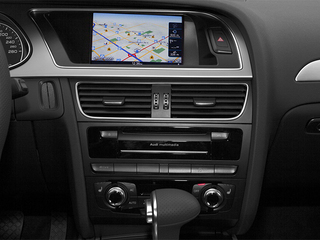 Audi Connect is an infotainment system that's part of the MMI Navigation interface and provides a car-based wireless Internet connection, bringing enhanced Google Earth maps, real-time local weather, fuel prices, news and a built-in voice-command Google Search function.